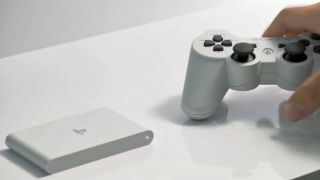 The PlayStation TV streaming box will launch in the US on October 14 and in Europe exactly a month later on November 14, Sony has confirmed to TechRadar. The device, which we've already had a play with, can stream games, shows and films straight to your TV via Wi-Fi. Around 700 games will be streamable from launch, with three available for free: OlliOlli, Velocity Ultra and Worms Revolution Extreme. The box will go on sale for £84.99/$99 (AU price to be confirmed), and will offer owners Vita, PSP and PS one classics. PS4 owners will be pleased to hear that they'll be able to stream from the console to the PlayStation TV box - handy if someone else is hogging the TV your PlayStation 4 is hooked up to.